So, instead of blogging about different stuff that I haven't blogged about before, like me going to a soiree (if that's how you spell it), last weekend, I'm going to bore you yet again with my concert-going experience. 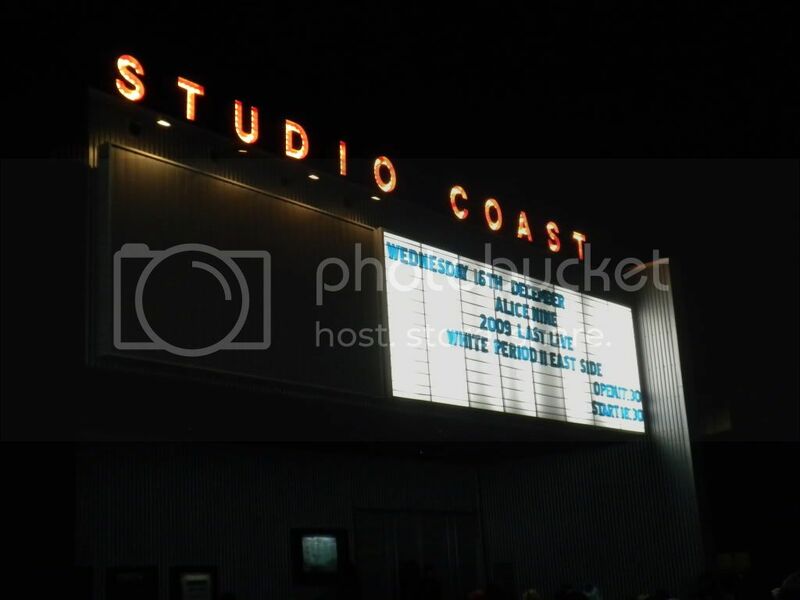 I won't bore you with the details in full, but last night was Alice Nine's last live of 2009, White Period II at Shinkiba. In following the band's request that everyone where white (as it was the theme), I don't think I saw a single person there who didn't have white on, so that was so awesome. The band opened with a cover of The Beatles' song "All You Need is Love," then did a lot of their lesser known/rarely played live songs. They did another few covers, one of some Japanese song, and then that song that goes, "You're just too good to be true...Can't take my eyes off of you..." Anyways. And Shou sang Silent Night (in Japanese), Saga played an acoustic version of either Armor Ring or Mugen no Hana (can't remember) on the guitar, they all came down to the edge of the extended stage (where I was) and played a song after having a little talk session and everyone hugging everyone. It was all a lot of fun, though they did play a lot of their heavier songs (or maybe it just seemed that way since I had a moshing lunatic beside me). 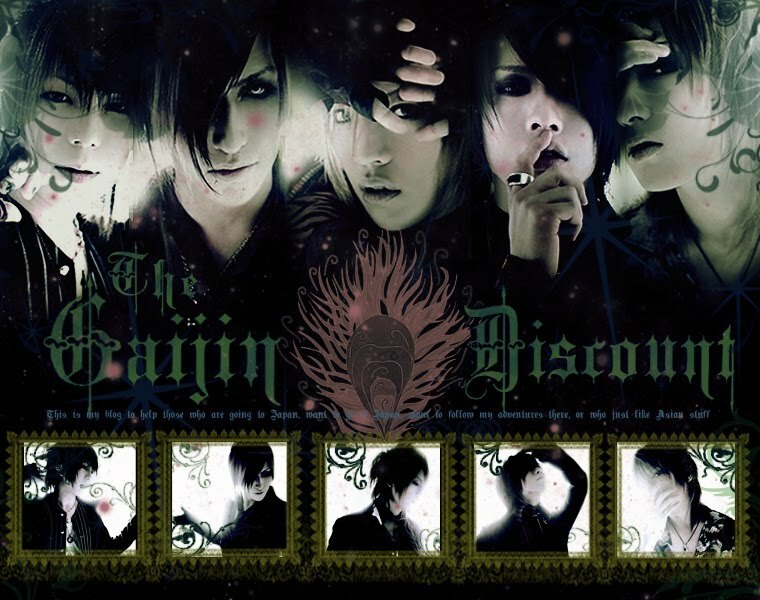 But anyways, it was nice and long and wonderful, and got me to thinking up a list of things to know when you go to a Visual Kei (or perhaps any) concert in Japan. 1. Even when tickets are for standing room only, it's no use showing up early, because they let people in one at a time according to the number on their ticket (learned this out the hard way by showing up crazy early for a concert). Thus, you might want to know what your ticket's number sounds like in Japanese when you go. 2. The concert will always, without fail, start late. How late, however, changes, ranging from 10-30 min. or so. 5. Almost all songs have accompanying hand movements that coordinate with the rhythm, and which can be quite disconcerting the first few times you go to a live, but which you gradually pick up on as you gain more experience. 6. Rather than clapping (though sometimes you do), or trying to grab the singers on stage, fans show their love by stretching their arms out in a hand gesture which is supposed to simulate a sakura bud blossoming. To be sure, there are other things that I've forgotten, as I'm in a flurry right now, but I suppose I can always add them later. Suffice it to say, it has been a learning experience, as has everything else here. You probably won't hear from me for a few days, since my family is coming to visit, but I'll post again when I can!